Sorrento is a city rich of events, concerts and shows of any kind. In Christmas time those events becomes even more giving more interest to the city. Description: Concerts, christmas markets, art exhibition and theatrical performances. 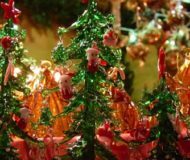 Take a look at the most interesting events of Christmas schedule.